I'm sure by now, if you've been following and reading me for any length of time at all, you've noticed that I put a lot of stock in the Bible. I pretty much try to filter anything through the Scriptures - that is, the 66 books contained in the single unit we know today as the Bible. Several times I've run into the attitude that says "The Bible is so old/has been changed so many times no one knows what it was supposed to say." As a matter of fact, that's not actually true. And that's what I'm going to be discussing today. I'm going to be citing a lot of facts and figures throughout this from various sources. Rather than go through the headache of annotation, I'm just going to link to all my sources at the bottom of this post. If I directly quote, I'll make sure you know. Anyway, all that business stuff out of the way. Down to brass tacks, as they say. First of all, have you ever noticed that there are lots of old and ancient documents which we read today and never question that they say the same thing they did when they were originally written? After all, no one questions the integrity of the contents of Oedipus Rex or The Odyssey. Yet there are no original copies of them around today and they have been re-translated many times throughout the years, prior to the printing press. I'm just pointing that out for comparison's sake. Now, of course, we don't have the original letters from Paul or the original documents from Moses. However, unlike those other ancient documents that you are required to read and test over in college, there are literally thousands of ancient, verified copies of the originals in existence today. For example, just for the New Testament portions dealing with Jesus, there are over 5,000 Greek documents, 8,000 Latin manuscripts, and 1,000 manuscripts in other ancient languages, all of them consistent except for minor grammatical and spelling errors (such as, names of people and places that change spelling based on the language.) And there are so many quotations of the New Testament in early church writings - like personal letters and commentaries people wrote 2000 years ago - that you could literally reconstitute almost the entire New Testament from those writings alone. Pretty amazing, I think. 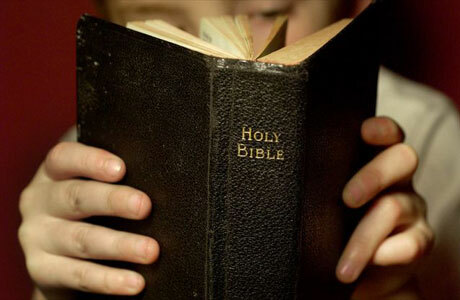 What about the Old Testament? That's even cooler. In the case of the Old Testament, Jewish scholars were meticulous about preserving their documents. There was no room for transcription error. They copied letter by letter, line by line, page by page. And if a mistake was made, the entire page was thrown out and restarted. 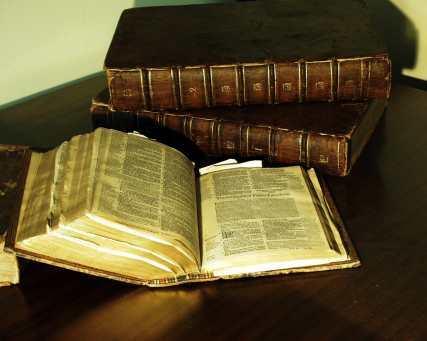 However, it could be argued that, sure, maybe way back in the day the copies of Scripture were uniform, but since then the Bible has been translated into so many languages by so many different people before it ever got to English, and that opens up the door for so many possible changes - both accidental and intentional. And in theory, that's true. Have you ever heard of the Dead Sea Scrolls? The Dead Sea Scrolls are manuscripts discovered near, yes, the Dead Sea back in 1947. 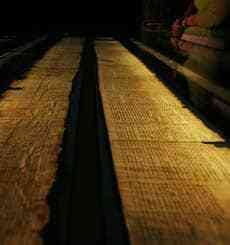 The scrolls are dated as early as 250 B.C. And aside from minor spelling or grammatical differences and the like, they are identical to Hebrew texts we use today - 2,000 years later - to make modern translations of the Bible. Pretty cool, huh? Wow, this is already WAY long. And we've really just scratched the surface. I guess I'll turn this into a series of posts. But the point of this individual post is, there are thousands of manuscripts from throughout history that verify the accuracy and the continuity of the contents of the Bibles we buy in bookstores today. I don't know about you, but I think that's pretty cool. And in the words of the dearly departed Billy Mays, "But wait! There's more!" We'll take up further proofs of the modern Bible's reliability in futures posts. Stay tuned! sources: source. source. source. source. I completely, 100% agree with you. (Of course.) I so love this post! =D I can't wait to read the rest. P.S. I love your new photo! Awesome :] Can't wait to read more! amen. amen. amen! Can't wait to hear more! YAY!! I'm excited for the rest. And laughed out loud when you quoted Billy Mays. DEFINITELY pretty cool :) I really want to read more posts about this!! I really enjoyed this, very interesting! Thanks for posting, I look forward to reading more. Yep! The Bible is my filter too. If you were a fly on the wall in our house--you would hear me answer my children, rebuke my children, praise my children, question my children--using the Word of God. All wisdom is found therein. What an interesting post! Can't wait to read more!